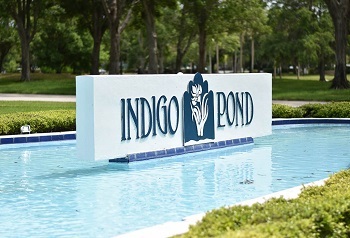 Indigo Pond condo community in Palm Harbor's East Lake Corridor offers a breathtaking view of ponds and golf course from almost every home. 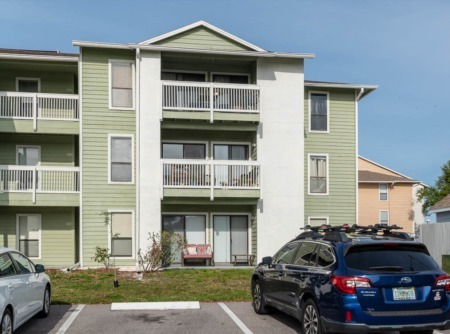 The two story buildings of Indigo Pond are roomy first and second floor units located in a very desirable neighborhood off East Lake Rd, onto Village Center Dr. to Indigo Pond. Homes for sale average approximately 1200 to 1600 sq. ft. Each home has at least two bedrooms and two full baths, dramatic vaulted ceilings, walk in closets, formal dining and living rooms with separate kitchens. Two units in the complex have a third bedroom that can be used as a den or office. Enjoy the marvelous Florida weather from the screened second floor balcony or first floor lanai. Swim and sun bathe at the stunning community pool. Never again worry about painting the outside of your home or fixing the roof. They are included in the monthly maintenance fee along with escrow reserves, building insurance, lawn care, trash removal and water/sewer. Close to YMCA, shopping, library, beaches and so much more. 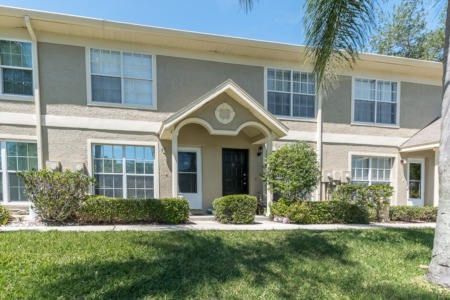 A very popular area of Palm Harbor, reasonably priced condos like these don't stay around too long. If you see one you like on this website, don't hesitate to request a showing. Selling your Home in Indigo Pond? Lipply Real Estate agents would like to apply for the job! Call us or enter your information in the form below today and speak directly with an agent about the endless possibilities in selling your home when you work with us. We are confident in our strategic marketing plans and Hope to hear from you soon!